Properties in Stellenbosch average 4.6 out of 5 stars. Las Vegas at De Kraal Estate ... ideal starting point for Golfers! Property 3: Las Vegas at De Kraal Estate ... ideal starting point for Golfers! Cycad House @ De Kraal Estate ... ideal starting point for Golfers! 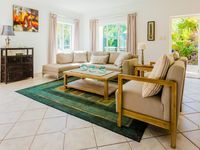 Property 5: Cycad House @ De Kraal Estate ... ideal starting point for Golfers! Jacaranda Cottage @ De Kraal Estate ... ideal starting point for golfers! Property 6: Jacaranda Cottage @ De Kraal Estate ... ideal starting point for golfers! 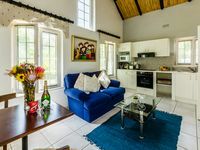 Lemon Tree Cottage @ De Kraal Estate ... ideal starting point for golfers! Property 8: Lemon Tree Cottage @ De Kraal Estate ... ideal starting point for golfers! Property 11: Your home away from home! This is the second time this year we have spent several weeks at a time at Lemon Tree Cottage. As I stated in my last review, the stay could not be more pleasant. The owner and the staff were, and are, amazing. Especially this stay, my wife suffered an illness that required us to extend our stay an additional week and they went above and beyond anything we could have expected to help. It is not possible to find a better place to stay. Very nice setting. Very friendly &amp; helpful staff. It is an ideal property to stay for a prolonged period the way we did. Nice &amp; private. Lots of resteaurants, wine farms, golf courses &amp; beautiful milieu. We'll recommend it for anyone.